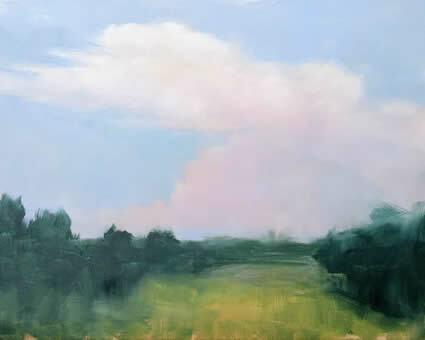 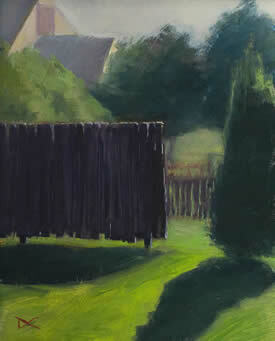 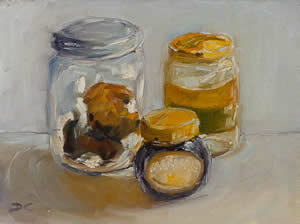 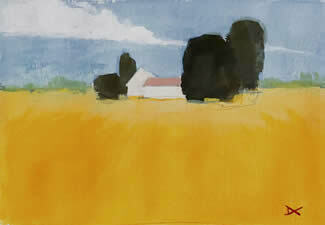 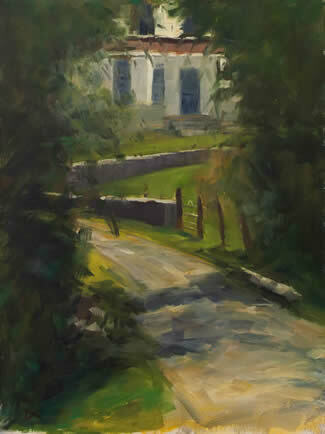 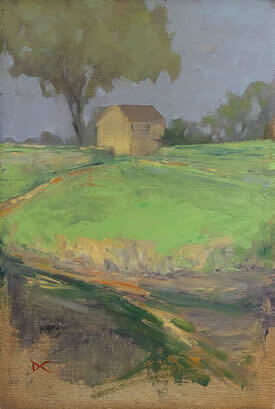 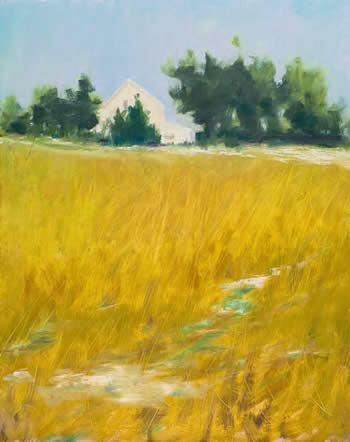 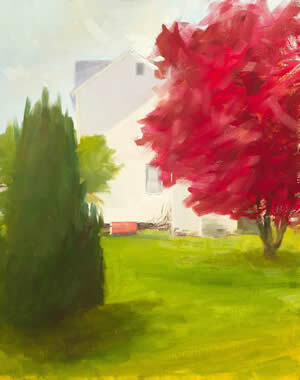 Dan was born in Singapore and currently resides and paints in Kennett Square, Pennsylvania. 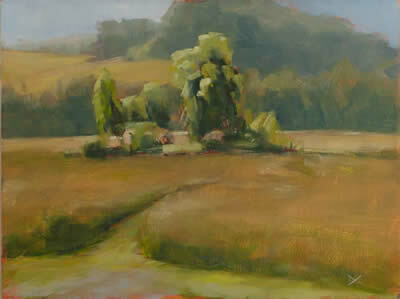 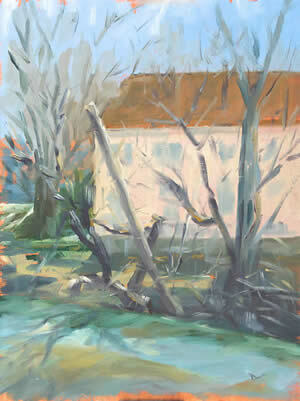 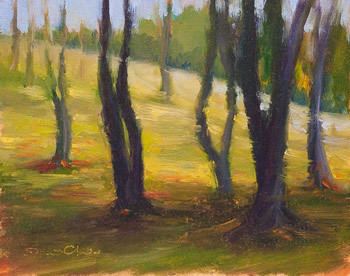 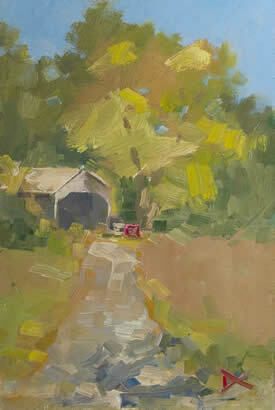 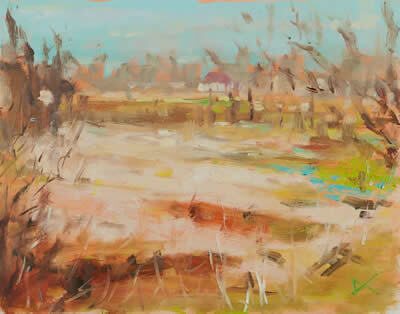 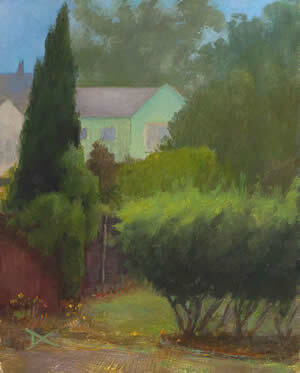 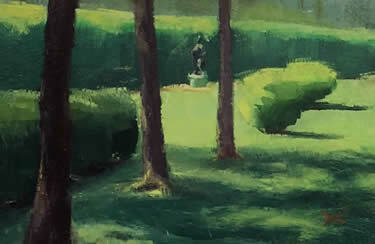 He enjoys working en plein air, often finding inspiration without leaving his neighborhood. 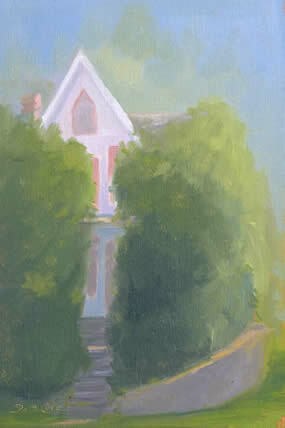 "When I step outside to paint, I will have walked only a few blocks from my studio, and I will soon setup to paint. 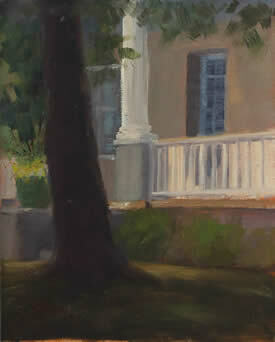 When I spend a bit of time listening, the place will have something to share with me." 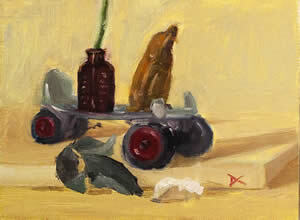 oil on panel 8 x 10 $500.